Patients who present their current & valid Concession Card (i.e. 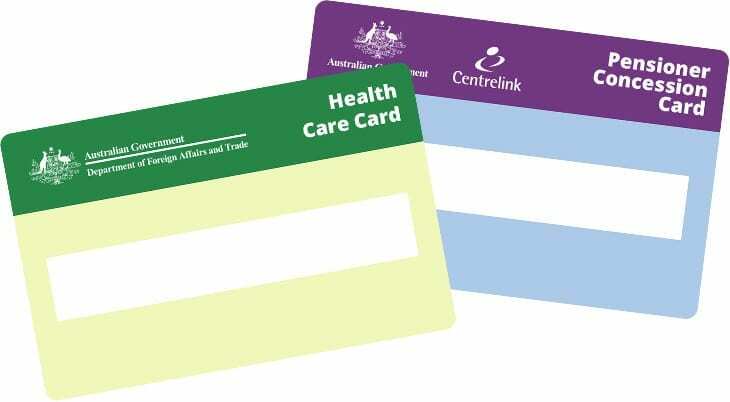 Health Care Card, Pension Card, University/TAFE Student ID) will be given a 10% Discount from their total treatment cost. Discounts will generally be deducted from each invoice by our receptionists, at the time of processing your payment. You must be able to provide a current concession card on the date of service. We cannot deduct discounts retrospectively once the invoice has been paid.